Martin: "Oh, Look, there's that damn Helen Mirren." Baldwin: "That's Dame Helen Mirren." But they couldn't save the broadcast. In the end it was The Hurt Locker that did that, winning six Oscars including best director and picture - a David going up against the Goliath Avatar. 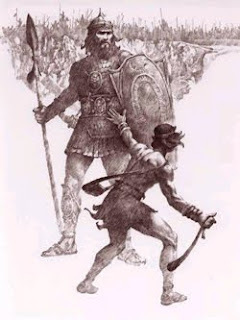 I'll confine my criticism of the broadcast to two things. First, what was up with a dance interpretation of the musical scores? The dances had nothing to do with movies. The producers could have given the time from the dance number to the poor guy that got Kanye-d by that woman when he tried to deliver his thank you speech for short documentary. She was a former producer of the film apparently. Had no business being on stage. Where was security? The other goof was the omission of Farrah Fawcett from the In Memoriam segment. She was an actor, not Michael Jackson. Well, not a movie actor, anyway. I confess, I don't see a lot of movies in the theatre. I usually wait until they come around on television or if I'm really moved I'll buy it on DVD. I think the last theatrical release I saw was Bambi. No, not really. But I don't go to movie theatres much. The two nominated movies I saw recently were Star Trek and District 9, each good movies in their own way, I thought. I didn't have to see Avatar to know it was a blockbusting money earner and "out there" in terms of the special effects it used. Oh, yeah, and it's director was JAMES CAMERON the Titanic guy - the other money grabbing pic until Avatar came along. And speaking of money it seemed to be on Cameron to take Director and his pic to take best picture. The PR machine was cranked up for months over Avatar and it just kept churning and churning. Well somebody had other plans. And I think it was the critics. 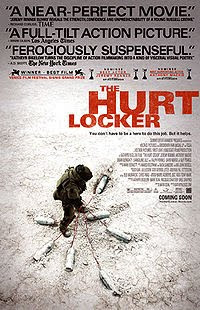 The Hurt Locker, which follows a US Army Explosive Ordnance Disposal unit during the Iraq war, swept the Oscars. It must have been particularly gratifying for Kathryn Bigelow, the first woman director to ever win an Oscar, to win over Cameron. She's his ex-wife! Referred to as the best movie nobody saw, I don't recall The Hurt Locker being shown in theatres around here. But it's been out on DVD since mid-January. I'll have to pick it up and see what all the fuss is about. If I can find it on sale, I'm sure I'll get more bang for my buck. I saw Avatar and really enjoyed it. It was a lot of special effects, but I enjoyed a lot of the dialogue and some of the plot. Hey! It's my opinion and like a-holes, everybody's got one! HA! I've never heard of Hurt Locker. From what I've picked up on since it won, it's somewhat an anti-war statement. I will not say "rant"...yet. That would explain why Hollywood, or at least Oscar, found it worthy of the big "O". Quirks: I just found it interesting the low budget anti-war movie made by his ex-wife won over the big budget highly trumpeted flick. And I respect your opinion, dead lady. Don: Hollywood's partial to the "anti" sentiment. Nevertheless it sounds like a neat little movie. Quiks (2) I'm getting ahead of myself. You're a dear lady. You ain't dead yet! Don (2): You're still kickin' too, eh Don? Love the way you turned Kayne West into a verb. I've never heard of Hurt Locker either. It might be worth watching. Oh, and LOL at your typo to Quirky. oops! Speaking of typos, I meant "K-a-n-y-e" . Leeuna: So I'm not the only one that never heard of this movie until about a week before the Oscars, then. Yeah, while Quirk loves Zombies, she's not dead...yet. Leeuna (2): HAPPENS TO THE BEST OF US! I am not a movie theater type of gal, I find the darkness and comfortable seating far too inviting for sleep. I will wait until these movies are available on DVD so I might rewind for those parts I sleep through. Me-Me: You're showing your age! I used to see everything, but then I had the kid. 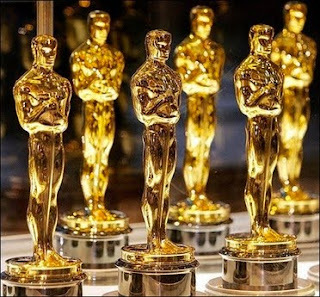 This was the Oscars for which I saw 2 movies: Up and The Hurt Locker. Thumbs way up for both, seriously. The Hurt Locker was incredibly intense and well-crafted. That said, I really want to see Avatar in IMAX 3D and may just take the 5 year old and leave if it gets too violent or she gets selfish and wants to sleep. (Quality parenting, no?) I also fell asleep, but have it and Amazing race on TiVo. But I did get to see an old classmate win for the Precious screenplay. He was such a nice guy, too. Kablooey: Just got Up In The Air and Precious on DVD today. Now wife and I have to find time to watch them. Glad to hear your review of Hurt Locker. That's next on my list. I thought I was the only person who didn't go to the movies. I've seen 2 movies in the theater in the last 20 years. One of them was "Titanic"...the other wasn't. Kelly: And you're telling me they both tanked? Well, as usual, I haven't seen most of the movies nominated... so I decided to forgo the festivities. Like you, I wait til they're on Netflix before seeing them. CL: Funny, eh, how it's just more convenient to see them in the comfort of your own home...where you can pause them when you go to the bathroom! I love movies. Love going to the theater. Love the dark, and the noise and the lights. Love everything about it. It's million dollar experience for the price of a day's work (ha!). I want to know what the other movie Kelly the commmenter saw was. Or more grammatically correct words to that effect. (At least I didn't tell anybody they're dead.) The fact that she didn't mention it makes me think something's up. Like maybe it was Debbie Does Dallas or something she'd rather not mention. Now I've got to see Hurt Locker. I too enjoyed the Oscars, especially Steve Martin. That guy's a riot. Mike: I enjoy the theatre but it's so much trouble before you can finally se the film. Line up to park, line up to buy a ticket, line up to buy food, line up to give your ticket, sit through 20 minutes of promos and THEN the movie starts, if you're lucky. Mike (2): I think she was too mortified to admit to what it was. Do you think we've got her dead to rights? Chris: One thing I left out was how much I enjoyed picking Alec Baldwin out of some of those old movie clips. Fascinating.